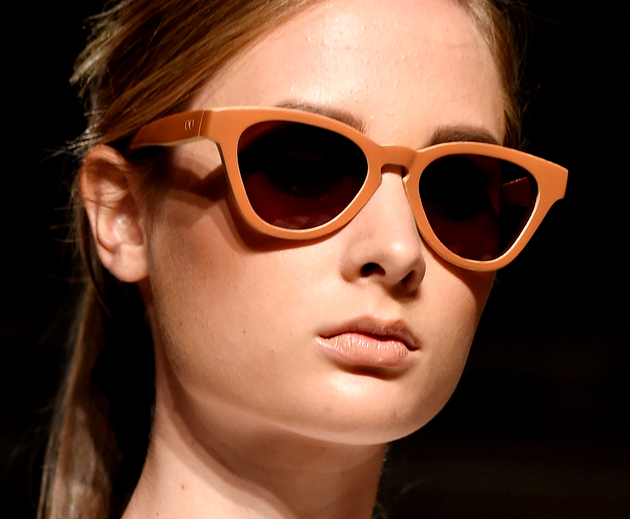 Sunglasses Trends 2015 - Eyewear Trends. 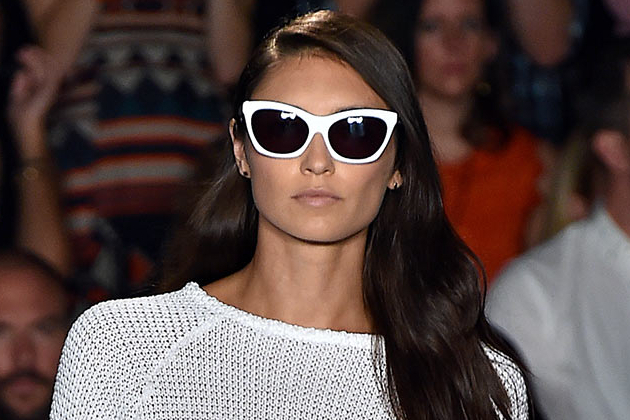 THE Sunglasses Trends to Wear in 2015. 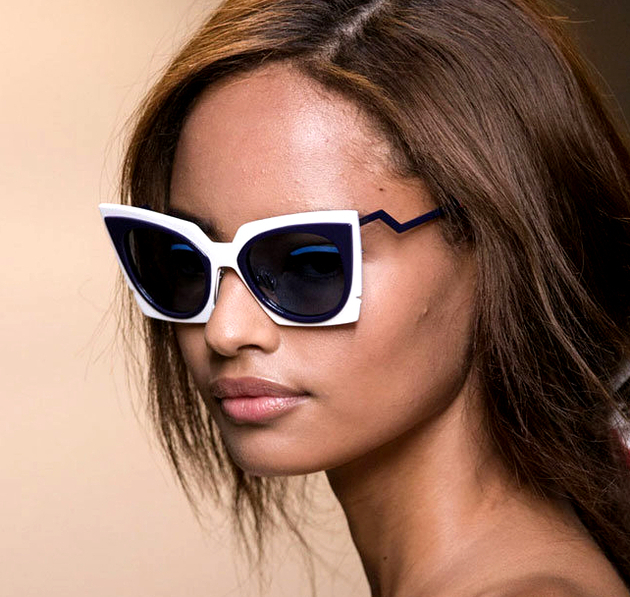 Whether you prefer your sunglasses oval, round or square, there are plenty of options for this summer based on the trends designers showcased at Fashion Week Spring/Summer 2015. 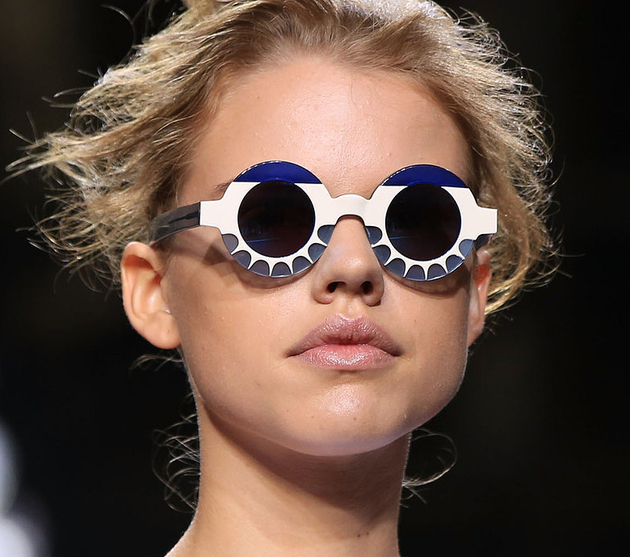 From retro inspired shades to more outrageous designs, check out the big sunglasses trends of 2015 and find the pair that perfectly fits your features. From classic white frames and cat eye sunglasses to oversized and very modern looks, here are the big trends for shades this summer. 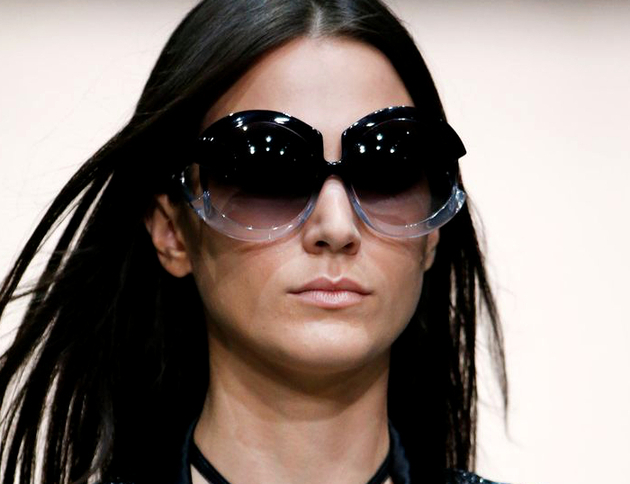 Just like many of the clothes and accessories at Fashion Week, sunglasses are also skewing retro, particularly when it comes to the styles of the ‘60s and ‘70s. Chanel, Derek Lam, Valentino, Temperley London, and Gucci used retro shapes for sunglasses that add a touch of glamor to the big fashion trends for Spring/Summer 2015. Make your shades one of the most colorful parts of your look. Forget about black lenses and don’t be afraid to choose bright colors. It’s one of the biggest sunglasses trends in 2015, with Charlotte Ronson, MSGM, Lacoste, and Acne Studios showing off colorful glasses, from oranges and yellows to blues. Whether you go for sunglasses that match your outfit or for a dramatic pop of color, you won’t go wrong by trying something more daring. They’re bigger than ever, and you can’t go wrong with a huge pair of glasses this summer. From more edgy interpretations of the oversized trend seen at the Prabal Gurung and Maison Martin Margiela runways shows to more traditional shapes at Moschino and Roberto Cavalli, sunglasses are big and bold this year, so don’t miss out. If you prefer a darker lens, you can add a touch of bright color to your look by choosing a pair of shades with attention grabbing frames. 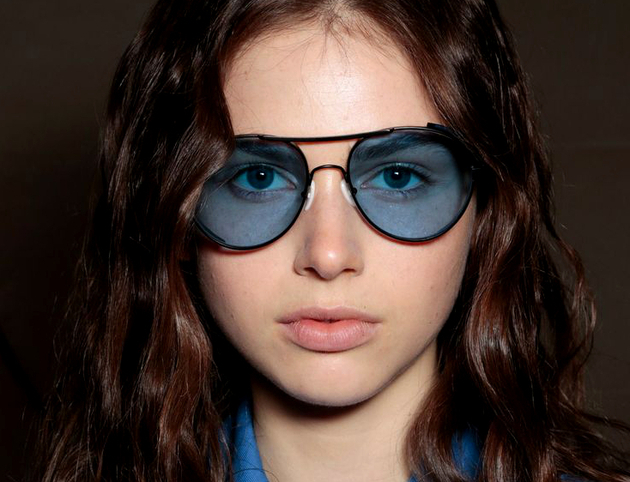 It’s one of the top sunglasses trends for 2015. Seen on the runways at Charlotte Ronson, Dries Van Noten and many more, solid colors and colorful patterns are a col detail that can bring your warm weather style to the next level. Whether you prefer your lenses in a muted color or a brighter shade, the ombre effect can add a touch of sophistication to your sunglasses. 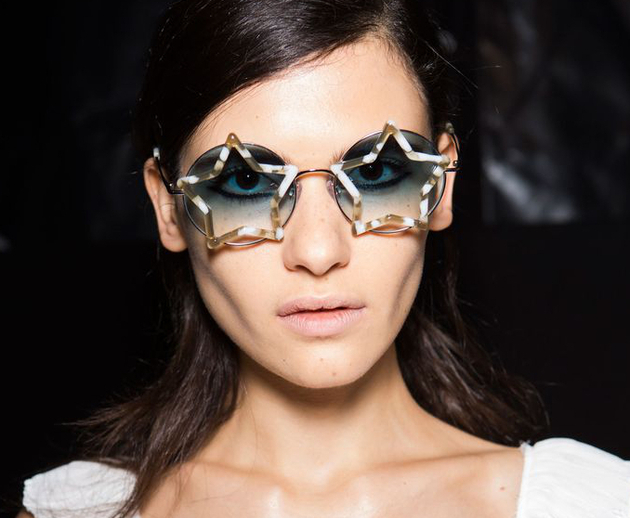 There were plenty of ombre lenses on the runways, from Roberto Cavalli to Viktor & Rolf, but the edgiest look was seen at Miu Miu, where the darker shades were at the bottom and gradually faded into lighter ones at the top of the lenses. If you’re willing to take an even bigger risks, try one of the biggest sunglasses trends of 2015, the color blocked shades. What makes them stand out from regular two toned sunglasses is the choice of bright and contrasting shades and lenses. From Rebecca Minkoff to Nina Ricci, plenty of designers tried this trend at fashion week, even going with asymmetrical color blocking on both frames and lenses. 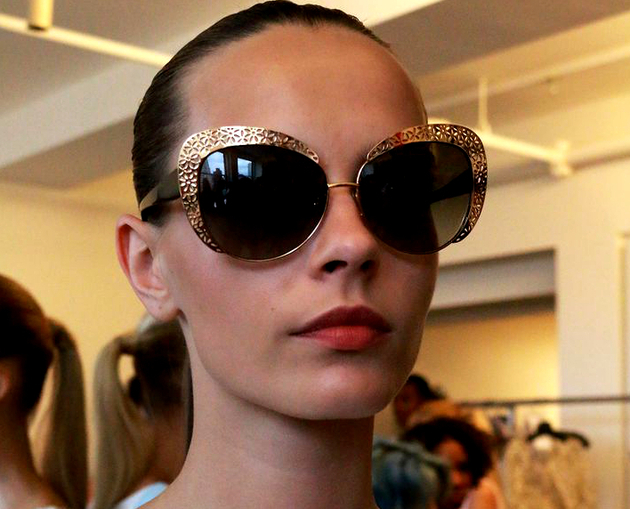 Adding a lot of glitter to frames was another fresh trend at Fashion Week. From small light reflecting particles to big rhinestones, the glitter look was seen at Chanel, Oscar de la Renta and Jeremy Scott. If you’d like to literally shine this spring and summer, try this cool trend and you’ll get plenty of attention thanks to your shades. The semi-rimless look is also one of the top sunglasses trends for 2015, whether the missing part is the top or bottom of your frames. 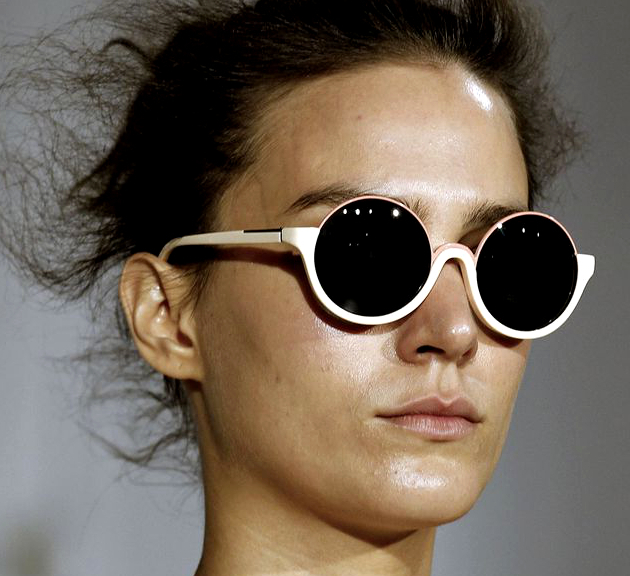 3.1 Phillip Lim, Rodarte, Opening Ceremony, and Miu Miu used edgy half rim sunglasses on the runways. If you’re aiming for the sophistication that you can only get from a classic, sunglasses with white frames deliver a touch of retro and a lot of elegance. 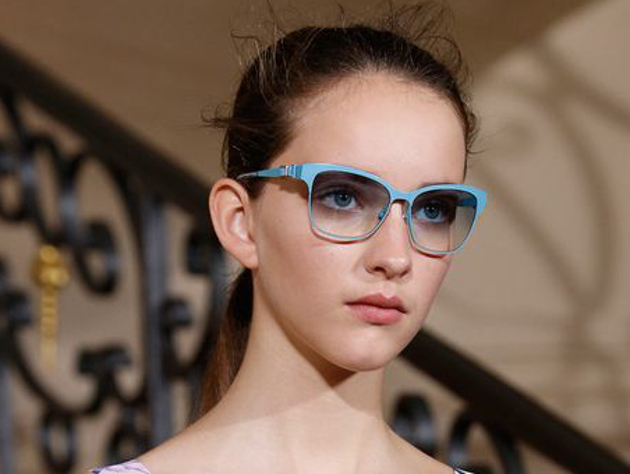 Christian Siriano, Erin Fetherston and Kate Spade were the biggest supporters of this trend, from the classic cat eye to other timeless lens and frame shapes. Limited edition shades are a big deal this year, but one of the biggest sunglasses trends in 2015 is about thinking completely out of the box. Kenzo, Moschino and Nicholas K have taken their experiments further than other designers, showcasing unique accessories that are instantly trendy.